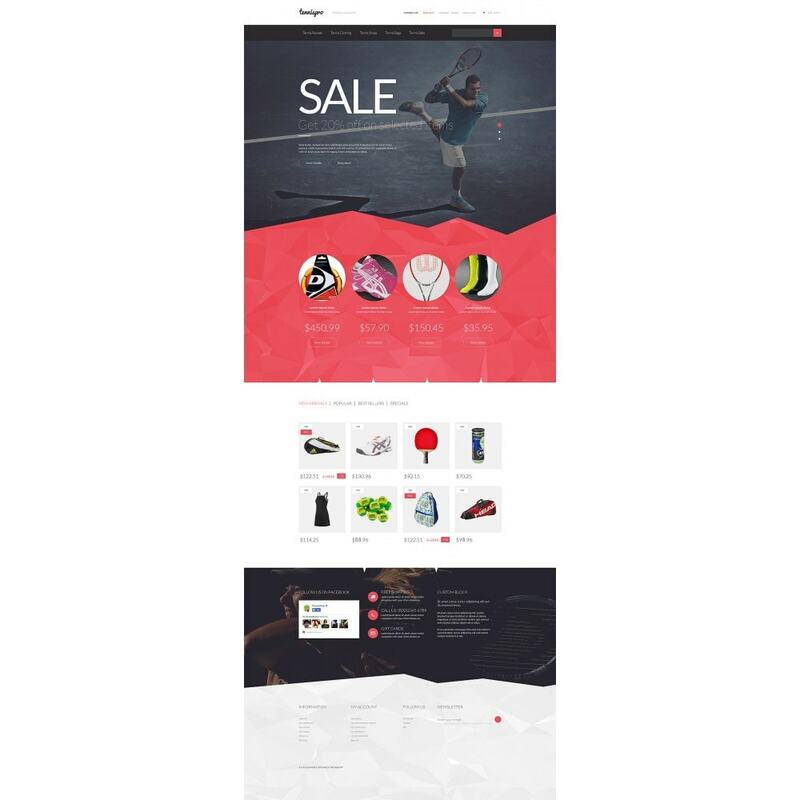 This Tennis Accessories PrestaShop Theme will be a perfect starting point for developing a sport gear and accessories shop. Built with valid HTML and CSS3 code, it is powered by Bootstrap and offers rich functionality that you can benefit from. 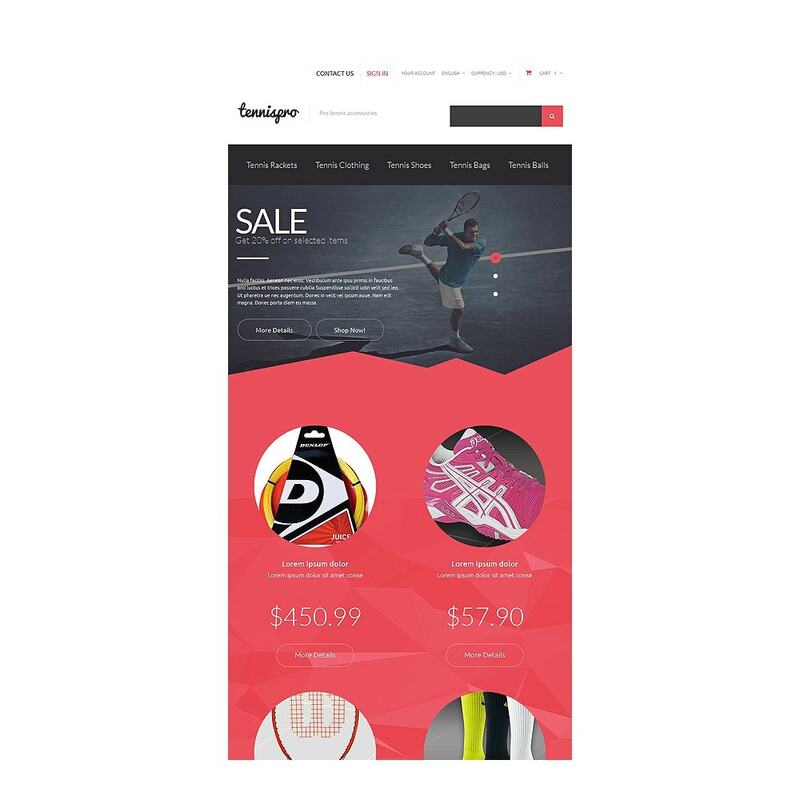 Fully responsive and crossbrowser compatible layout will make your site accessible from any device and web browser. 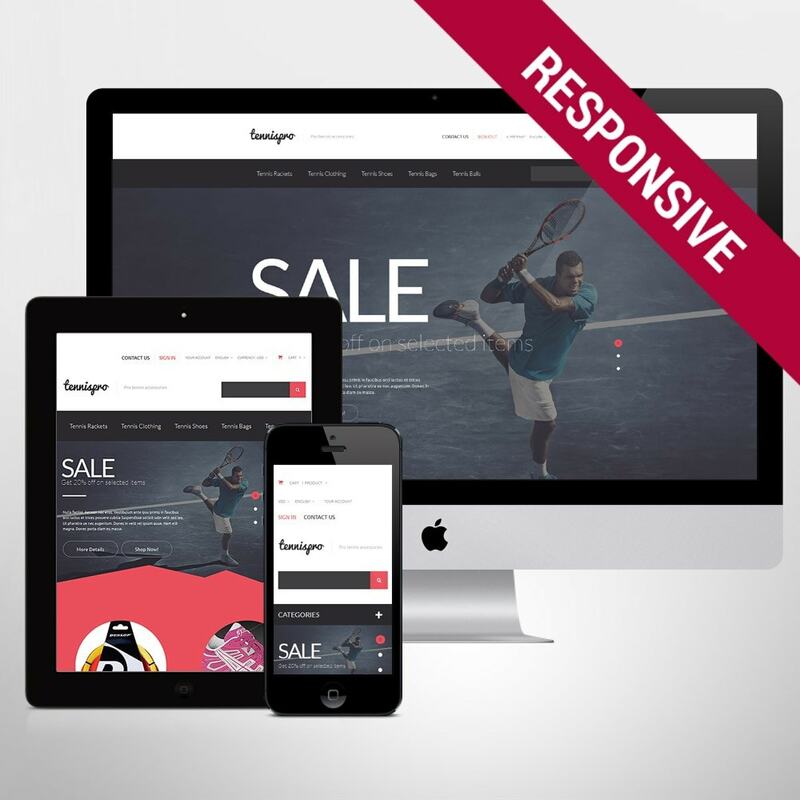 Carousel slider in the header will be helpful to display your special deals and catch user attention. 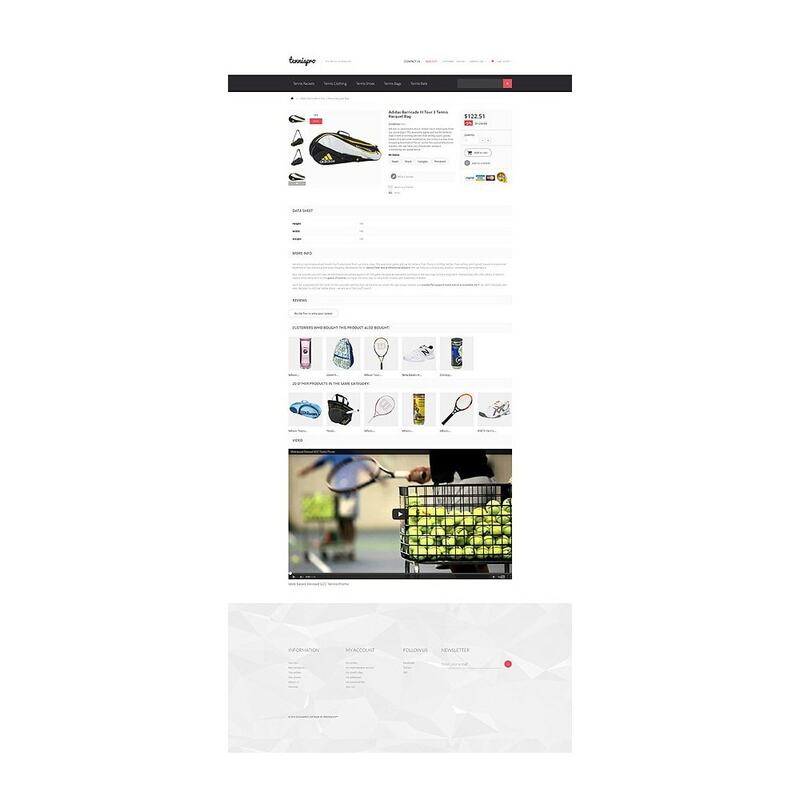 Navigation on hover, live search, dropdown menu, and informative footer facilitate browsing. Stunning zoom effect will allow your visitors take a closer look at the products you sell. The theme is flexible and can be easily adjusted to fit multiple purposes. 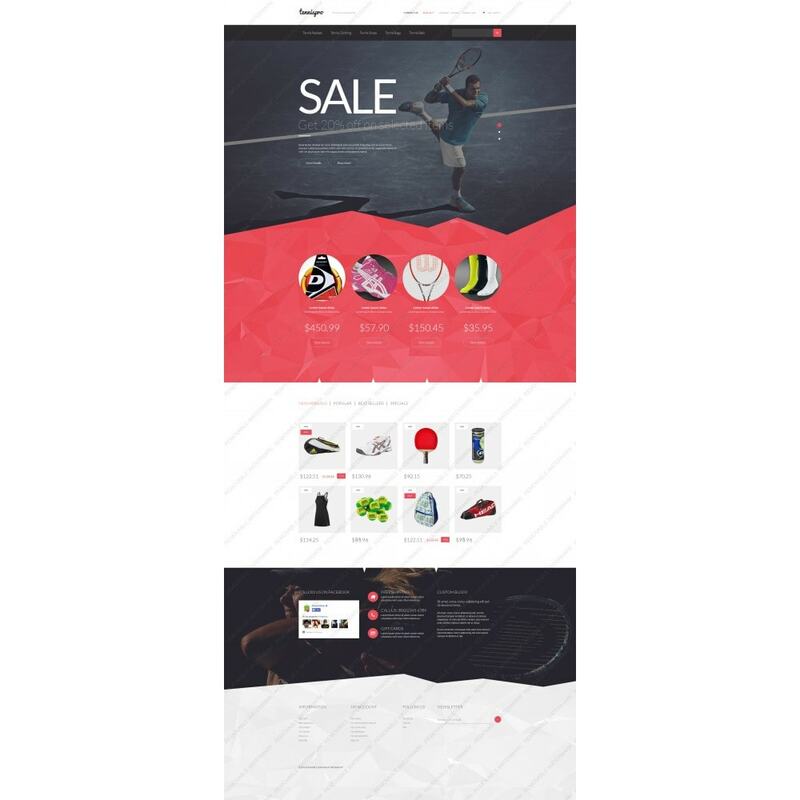 The theme is intended for sport, travel, tools equipment, beauty, and gifts stores.